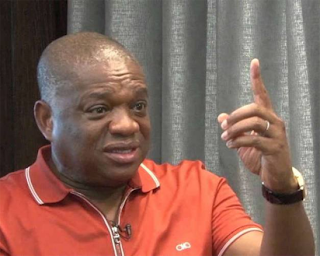 The Deputy National Publicity Secretary of the All Progressives Congress, APC, Mr. Yekini Nabena, has reacted to a comment made by former Abia state governor, Orji Uzor Kalu, that the party must make him the deputy senate president or he will contest for the Senate President. Recall that the party has since zoned the Senate President position to North-East, Deputy Senate President to the North-West, and Chief Whip to the South-East. However, this did not go down well with Kalu as he felt it was a slight on the South East. Nabena said Orji Kalu is not worthy to be Senate President or Deputy Senate President because South-east refused to vote for APC. He said that while nobody is stopping him (Kalu) from contesting for the position of Senate President, the reality is that he cannot win since the zoning arrangement didn’t favour him. “He (Kalu) can contest for the position of Senate President. But the issue is, can he win? Nobody is stopping him from contesting. Igbo people always play themselves out. So, Kalu cannot blame APC. “So, Orji Uzor Kalu must go back to his people and educate them because he himself is not worthy to be Senate President or Deputy Senate President. So, if he wants to contest, he can do so. Nobody is stopping him. But I know that he cannot win,” the APC spokesman told Daily Independent.